Do you have a messy cupboard that's filled with cans? If that's the case then you direly need one of these Can Tamers. 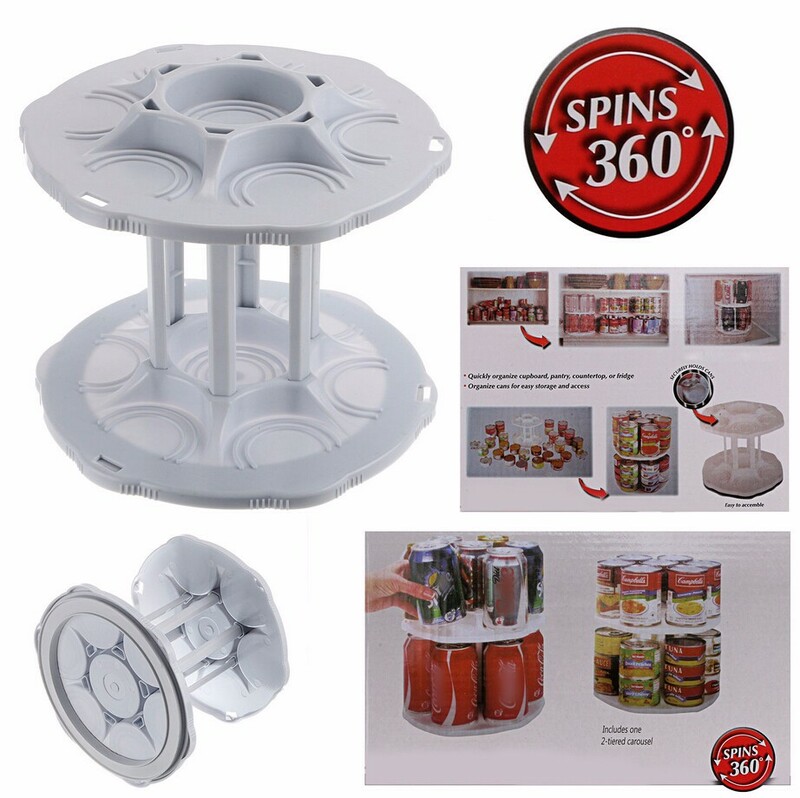 This product features a 2-tier carousel design that saves space and gives you easy access to your canned goods. 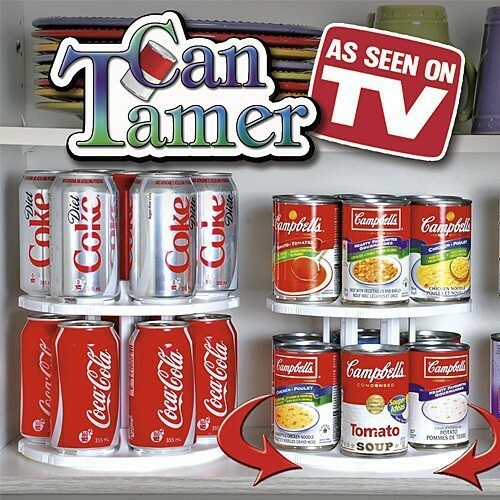 The built-in sockets ensure that your canned goods are held securely in place. You don't have to worry about any cans falling off. These Can Tamers are also compatible with all standard-sized cans that are 2.5 inches in diameter. You can store most cans in them!